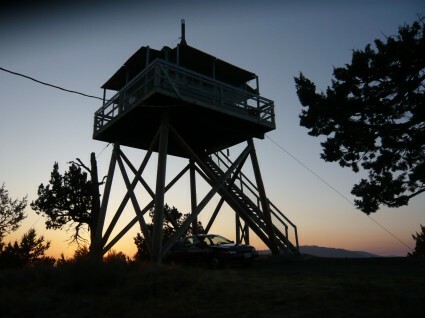 For the next few Autumn days, I’ll be overlooking the sunsets & sunrises from this fire lookout in Oregon. When I get back next Tuesday, we’ll release the new batch of GIFT TAPES ! Mark it on your calenders – September 29th, 2009 – as these tapes will be flying off shelves: Pulse Emitter, The North Sea, & Matt Carlson (of Bonus). Extreme synthesizer radness.